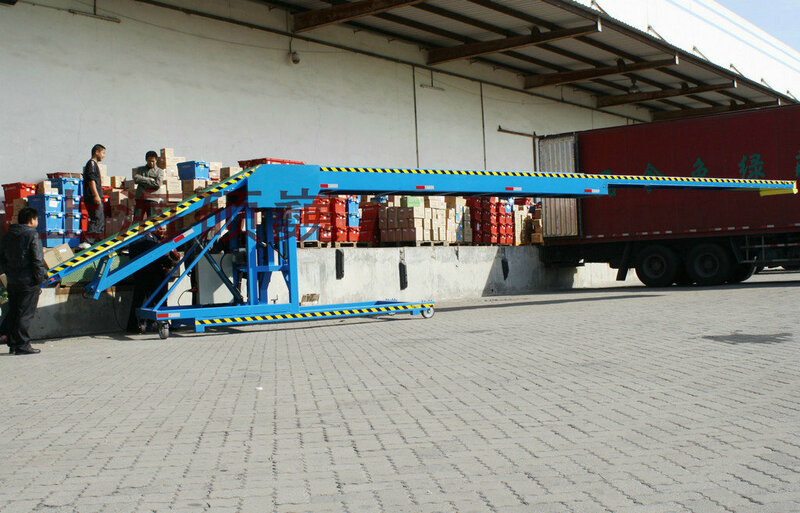 Features: SVMVL9 Telescopic vehicle loading, no need platform. Easy to adjust loading position according to van/truck/container position. Flexible movement. Place to corner when not in use and it doesn't take up working site. Used for the sites of van,train,ferry pier,aviation logistics etc.. The lifting angle of telescopic part on head is small, and angle is fixed on end.